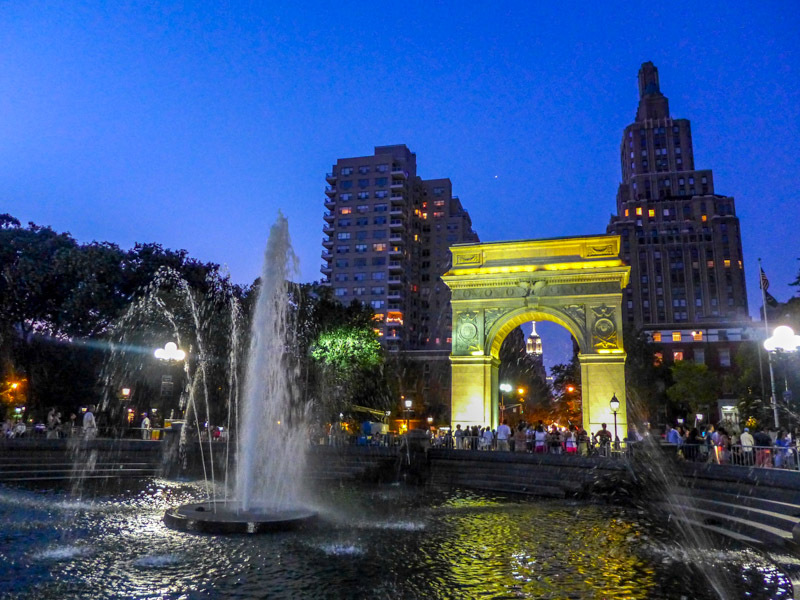 Whatever you’re into, you can guarantee that New York is teeming with other people with the same interest. 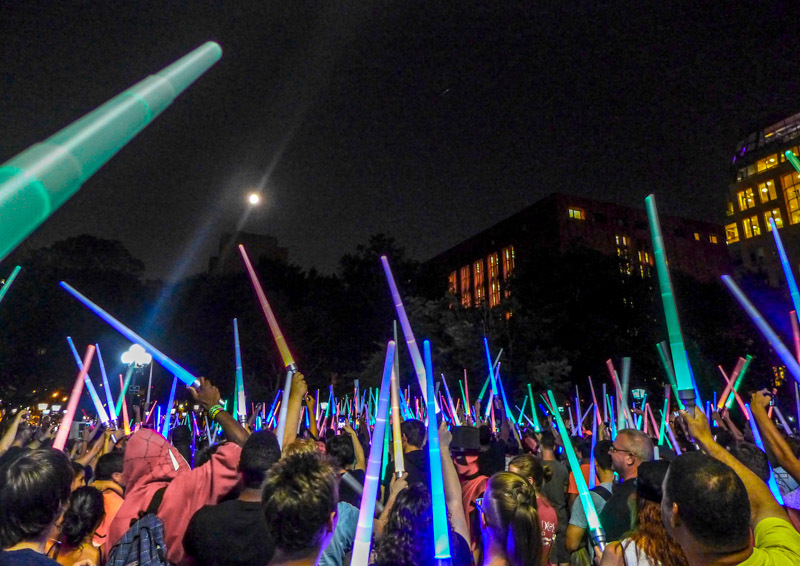 So if you fancy dressing as a Star Wars character, activating your lightsaber and battling hundreds of foe in Washington Square Park, you can be sure it’ll happen. 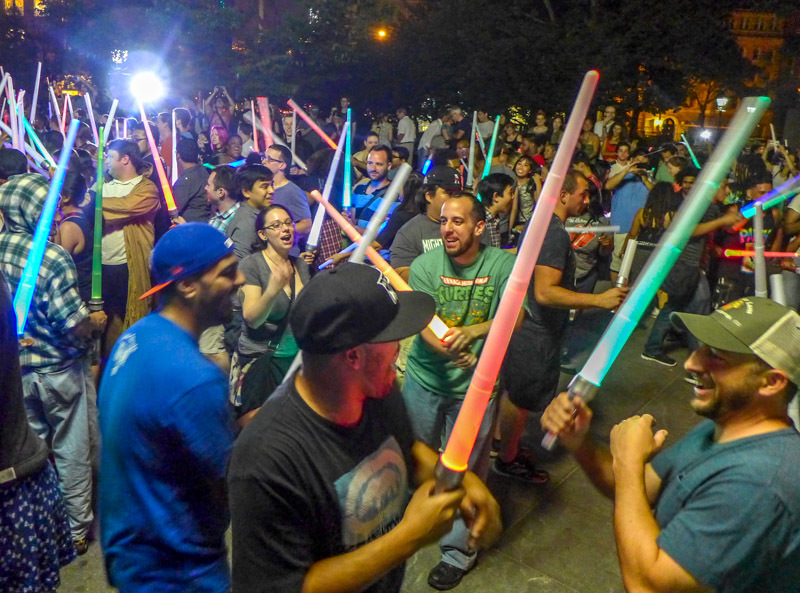 I’m not a Star Wars geek, but I am fan of New York’s bizarre gatherings, so when I saw that Newmindspace was trying to get this event off the ground a few months ago, it had all of my support. 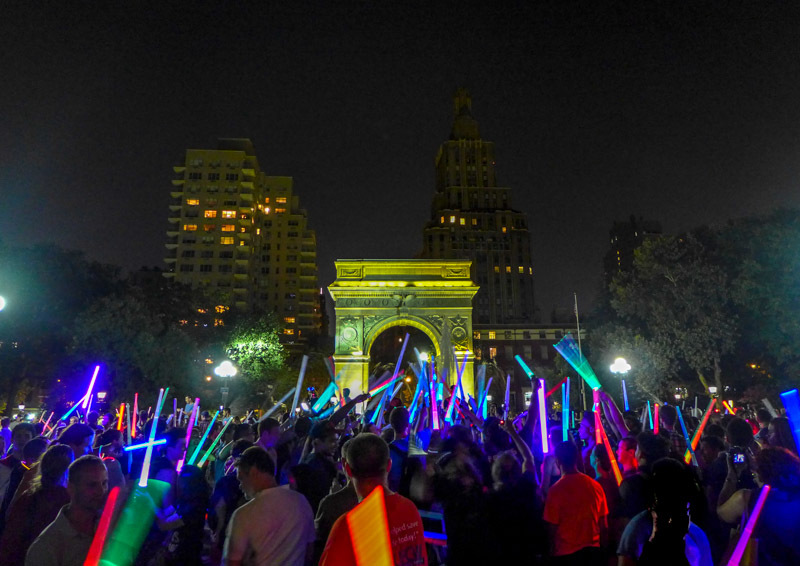 I booked a couple of lightsabers and watched as the list of attendees rocketed past 1,600. Finally, the night arrived. Ryan and I grabbed our weapons and headed to battle. We marched towards the fountain (to the hum of the Star Wars theme tune) and, with the bellow of a loudspeaker, we were off… with Ryan showing off his skills. I’m not going to lie, after about three minutes, the novelty of fighting wore off. 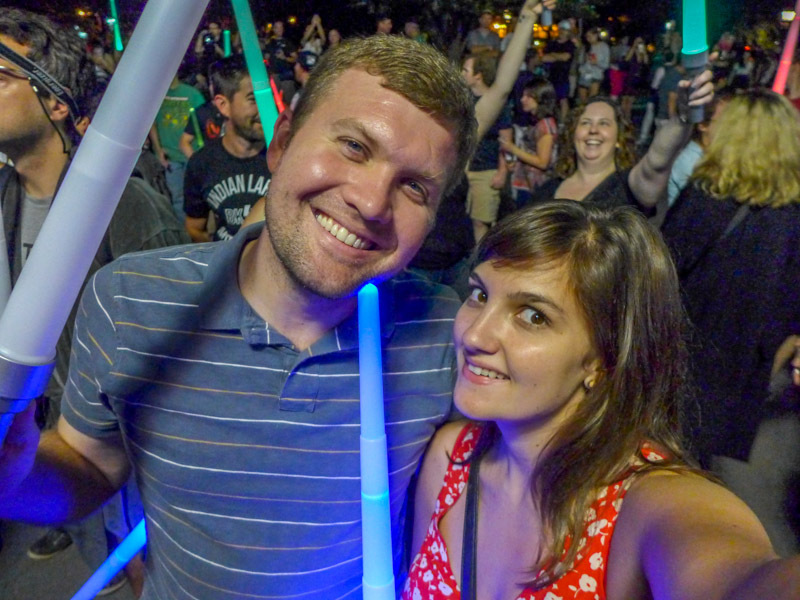 It was so fun and silly to be battling strangers, but I was also just as amused watching the crowd. We realized people fell in one of two camps – the people who were pretty happy to have a laugh and watch, or those who were having the best night of their lives, ever, and would never be stopping, ever, even when the batteries were long worn out. Good for them, I say. But we were firmly in the first camp. 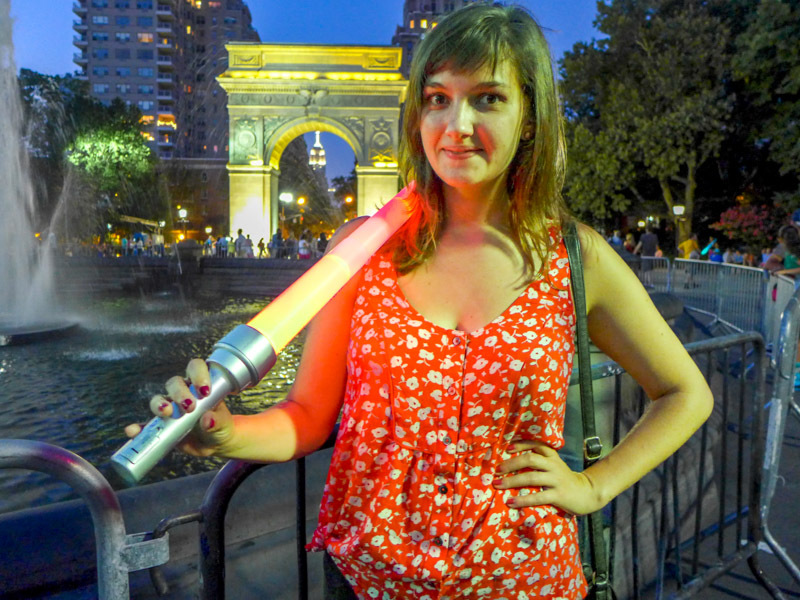 So, with our lightsabers still flickering, we decided to hobble home mid-battle. Still, we had fun. The night was so silly and reminded me of other great random New York traditions – like the huge pillow fight or the game of freeze tag on Wall Street. And I’m hoping this becomes a fixture of the year too. There’s definitely a crowd for it. Philip would LOVE that ! 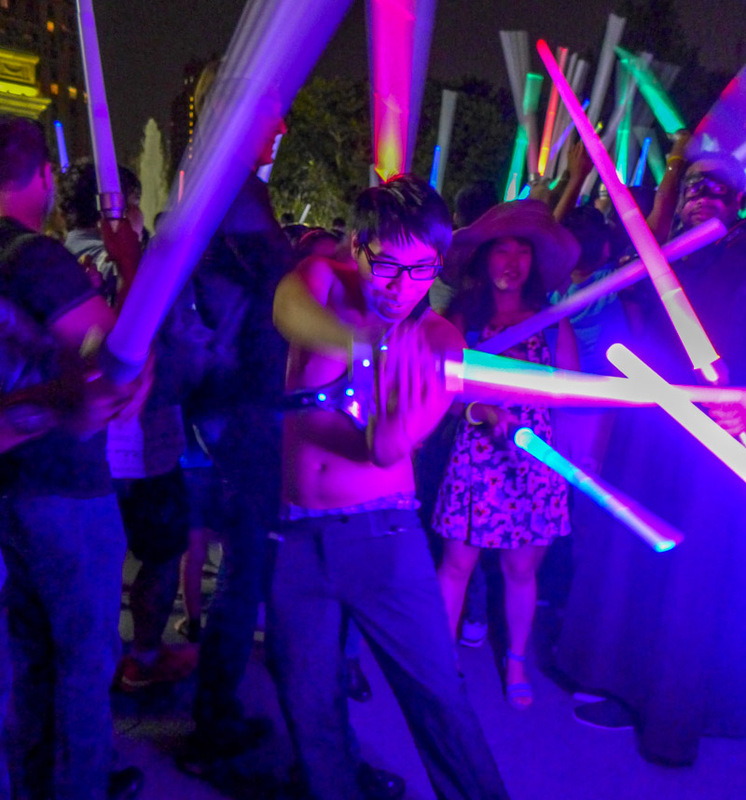 So what is Ryan saying as he’s waving his lightsaber?